Multicomponent: Klip versus component – How can we help you today? Any Klip can contain multiple components, giving you the flexibility to combine two or more visualizations into a single Klip. 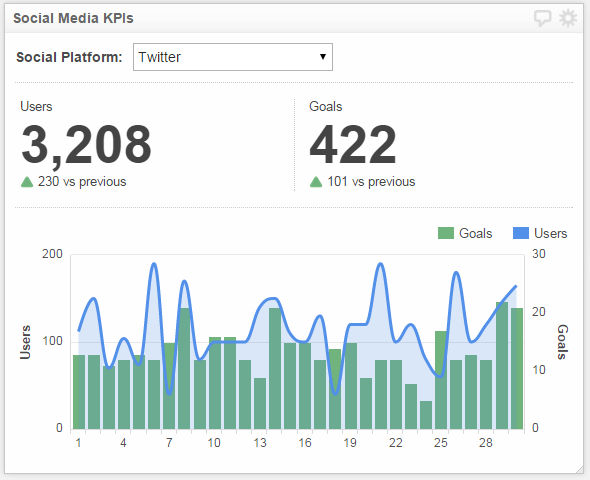 This capability provides an almost limitless range of options for visualizing your data and communicating key performance metrics. To understand how to work with multiple components, it is important to know the difference between a Klip and a Component. A Klip is a container. A Klip can be added to a dashboard and shared with other users. A Klip may contain multiple components. Any Klip can be a starting point for adding one or more components. A Component is the content in a Klip. You can click and drag components on to a Klip. You can have multiple components of the same type in a single Klip. A component cannot be individually shared - only as part of the entire Klip.